← Special Endless Bracelet Offer! The first step is to sign up and then vote! You must vote for 30 businesses for your ballot to count. Voting ends Sept. 17. Also vote for our sister stores Garnet and Black Traditions as the Best Gamecock store, as well as Palmetto Traditions as the Best Gift Shop – Monogram Shop – Women’s Weekend Wear Categories. 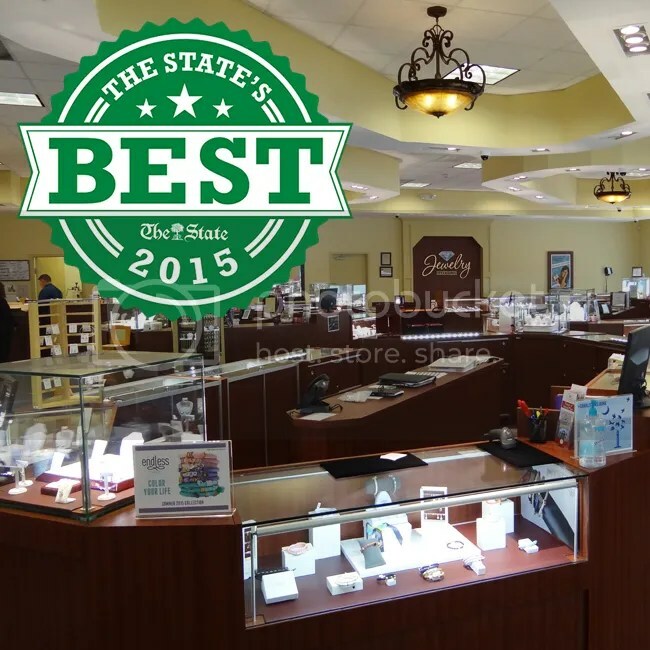 This entry was posted in Jewelry, Jewelry News and tagged best jewelry store, columbia sc, jewelers in columbia sc, jewelry warehouse. Bookmark the permalink.